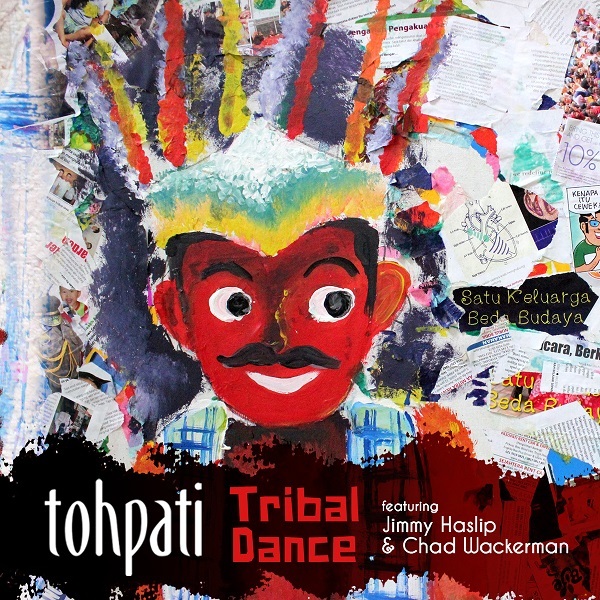 I really liked Tohpati's album with Ethnomission from 2010, and when the news came that he would be recording in the US with Jimmy Haslip and Chad Wackerman, I had mixed feeling. While Tohpaiti's guitar playing was a large part of that album's appeal, I really liked the Indonesian flavors imparted by the rest of the band. Would the guitarist still be as interesting in a different setting? Tribal Dance is, in many ways, a much more ordinary recording than Selamatkan Bumi, being pretty much a standard guitar/bass/drums fusion trio. The Indonesian element of the music is reduced to ambient bits that set the mood at the beginnings of several tracks, but these brief moments are key to the album's success. Certainly Tohpati deserves a place among the pantheon of great guitarists, and his compositions are top-notch as well, with a great balance of lyricism and dexterity. Haslip and Wackerman need no introduction as masters of their instruments, and they don't disappoint, infusing Tohpati's compositions with great feel and skill. Tribal Dance was almost all recorded live on a single day, so I'm assuming the keyboard-like sounds heard from time to time are triggered by the guitar, but there's no doubt that this group could show up anywhere and deliver without any help. So, while Tribal Dance may not be the revelation that Selamatkan Bumi was (that kind of lightning only strikes once), it's proof positive of Tohpati's worthiness as a world-class musician. Highly recommended for fans of intelligent jazz-rock that eschews the kind of over-the-top technical virtuosity some bands focus on, opting for a more human, but still impressive, kind of music.